All dogs shed. This is perfectly normal, and something that dog owners learn to just accept having dog hair on their clothing and around the house. But is your dog shedding too much? Do you have excessive shedding dogs and if so, why and what can be done about it. Excessive shedding dogs may be showing a sign of a health problem or a grooming issue. Fortunately, excessive shedding can be reduced in many cases with medical treatment or a change in your dog’s grooming or diet. I am going to discuss why dogs shed, why they might shed excessively, and how to manage dog shedding. Dog hair goes through a continuous growth cycle just like humans do. Older hair will fall out and be replaced by new hair. The changes of the seasons will affect the amount of hair loss as well. With winter approaching, your dog’s coat may become thicker. When spring starts to arrive, most dogs will shed a bit more of their hair to prepare their bodies for the warmer temperatures. Shedding amounts will vary from dog to dog and from breed to breed, so don’t be concerned if one dog is shedding more than another. Normal shedding is the loss of the undercoat mostly, with some regular fur loss as well. Dogs that are kept inside are prone to smaller fluctuations in coat thickness and tend to shed fairly evenly all year. Short haired dogs have a denser coat and generally shed more than long haired dogs. You just don’t notice it as much since it is shorter. Labrador Retriever, Akita, Chow Chow, Siberian Husky, Golden Retriever and German Shepherds are all shedding machines. If there is a significant change in the amount your dog sheds, it could be a sign that something is the matter with your dog. If you feel that your dog is experiencing excessive shedding, look at your dog’s hair. Does it have a healthy sheen? How does the skin look beneath? Is it flaky, dry or discolored? 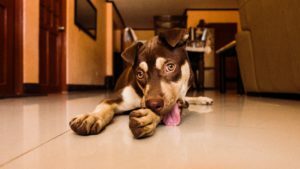 These would all be signs that your dog has some underlying issues behind the excessive shedding. 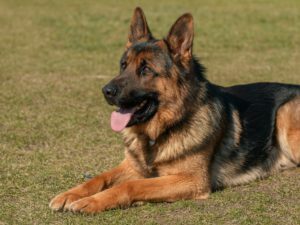 Generally if your dog has some type of medical reason for the excessive shedding, they will have a hair loss that is spotty or patchy as compared to general shedding. Poor Diet – The #1 reason for excessive shedding is a poor diet. Cheap food might meet the minimum quality requirements, but it may not have enough protein or nutrients for your dog. Dog’s need a diet high in proteins and nutrients. Not all dog food is created equal. The healthiest dog food list poultry, beef, chicken or other proteins in the first few ingredients on the label. Foods that contain lots of fillers, such as cereal by products, corn and rice bran, citrus pulp and corn starch are more likely to cause shedding. Allergies – Whether your dog is allergic to their food, fleas or allergens in the environment, you may notice them scratching or biting on their skin, causing excessive hair loss. Parasites – If your dog gets a flea, tick or mite infestation, they will be very uncomfortable and will try to relieve the itching by biting, licking or scratching causing hair loss. It is very important that if you aren’t currently using some type of protection against parasites, that you start immediately. There are many issues that parasites can cause including Lyme disease, and hot spots. Talk to your veterinarian if you need guidance for the best protection for your dog. Grooming – What type of shampoo do you use on your dog? Only use shampoo designed for dogs on your dog. 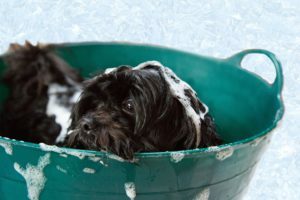 Human shampoo is much more harsh and can cause problems for your dog. Also, make sure to get your dog completely rinsed, free of shampoo. Rinse, rinse and rinse again. If soap remains on your dog, it is going to dry out your dog’s skin. Stress – A loss of a family member (child going to college, death, divorce), an additional family member including a new child or a new pet, or moving to a new home. Although you may consider something a minor change, any change in your dog’s routine can cause them stress. Infection – A fungal, viral, bacterial or yeast infection can lead to hair loss, itching and discomfort. Hormones – Imbalances in your dog’s thyroid can cause hair to become brittle and fall out. This is a common condition among dogs and easily treated with medication. During pregnancy and lactation it can be considered normal for your dog to have excessive hair loss, but if it is excessive you should see your veterinarian about supplements for your dog. The following list should be used as a guideline of when you should see your vet to check your dog over. If you notice patches of fur missing, you should take your dog to the veterinarian. Skin irritation, including redness, bumps, rashes or scabs. If your dog has patchy fur loss, it is time to see the vet. Open sores of any kind. Bald spots or thinning of coat. Dull, dry hair that pulls out easily. Constant foot licking or chewing or face rubbing. You can visit your veterinarian if your dog is experiencing excessive shedding. Some of their recommendations might include the following. Flea and tick control medications. Topical or oral medications to treat infections. Reducing allergen exposure with regular baths. HEPA filter in your home. Brushing your dog regularly will help minimize dog shedding. Once per day would be great, but at least once per week if you can’t get it done daily. In the summer months, increase the number of baths you give your dog to help with allergens and also to help get rid of loose hair. If you have a dog with long fur that not only gets tangles, but gets into burrs and gets sticks stuck in their fur, I really recommend getting a metal comb for your dog. They come with 2 sizes of teeth on one comb, and they work great for getting out snarls and debris. It makes the job easier, and it removes the undercoat and loose fur. An undercoat rake is also great for removal of fur. My recommendation would be the FURminator. This brush can help reduce your dog’s shedding by 90%. Gentle and effective. Its metal teeth remove loose hair from the undercoat. Furminator also has a great shampoo that goes together with the rake that will help to reduce the amount of shedding of your dog. It is perfectly normal for your dogs to shed and you are going to find fur around your house if you are a dog owner. You will also notice that most dogs will have increased shedding before summer and winter. There are also several excessive shedding dogs that will shed more than other dogs. It is important for you to recognize what is normal shedding for your dog, since all dogs will shed different amounts. 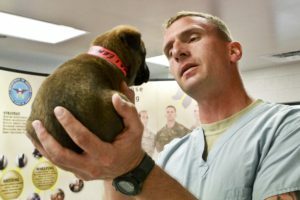 If your dog has patches of missing fur, that is generally associated with your dog having some type of medical issue, grooming issue, stress, food issue, or allergy. This is where if you can’t figure out the exact cause, you talk with your veterinarian for help with your dog. Most of these issues can be easily resolved. Thank goodness, our little puppy doesn’t shed too much yet. I always thought this was in correlation with the seasons though. When the hot season starts the dog get’s rid of too much hair because of the temperature. I’ll now have a closer look at the phenomena, this might be interesting as the doggy grows up. I hate all the hair in our room and on the cloths he sometimes sleeps on. First, good luck with your little puppy and enjoy your time. I feel a dog’s life is always way too short. As your puppy gets older, depending on the breed, I would expect there to be some shedding even for a healthy dog. I guess it is just their way to always leave us a little gift. Brushing your dog regularly will help with the amount of shedding you will see from your dog. Very informative on the causes of excessive shedding and how to identify, and treat excessive shedding. From someone who has had to deal with this issue in several times with our Labradors, you do a very good job of educating dog owners. We have had to deal with a tick infestation, a fungus, and a parasite. The information you provide is right on on how these things can affect shedding. The shedding can be the warning sign for you to treat an underlying issue. We have used both the brush and the shampoo as external treatment and the appropriate medication to treat the infections. We have also tried different types of food. It was an arduous process but we have finally managed to keep our dogs fur nice and healthy. Had we had your list, we could have saved ourselves a lot of research and a lot of trial and error. Thanks so much for commenting on my article. I am sorry that you have had issues with your Labradors, but I am glad that you have them under control at this point. You are very correct, on the fur loss is just letting us know that there is some bigger issue that we need to figure out to help keep our dogs healthy. I have had a Golden Retriever that seemed to always have some type of issue with his skin or fur, and it can be a real challenge figuring out what is going on with them sometimes. Marla, what a wonderfully explicit article on dog hair. I don’t have dogs anymore but my neighbours have two. So I bring home orphan dog hairs! It’s a shame to see so many dogs around whose owners really don’t know much about this issue. Sometimes I can give them a bit of direction but I believe they would get much more from your post. So now I will try and direct them to read your articles. I do however really know about floating hair. My cats seem to be able to shed at will. My old cat was a tortoiseshell. I have a friend who always wore black. So Rags would shed white hair all over her. One day my friend came in white to fool Rags. But Rags got her. She shed lots of her black hair. Pets, go figure. I also shed constantly and still haven’t figured out why I not only am not bald but have no trace of baldness. Helen, thanks for taking the time to comment on my article and for including your humor. Very much enjoy your comment. It doesn’t matter if it is dogs or cats, they seem to love to throw their fur around. At least some shedding here and there is no reason to worry about our pets health. We just need to worry when it turns into excessive shedding. I would appreciate anyone your refer to my site that could benefit from the information. Hey I really enjoyed this article, it was very informative. I never knew why dogs would shed, i actually haven’t had a dog for many years. I have mainly stuck with cats recently, I hated dealing with all the shedding and dogs were harder to take care of in my opinion. Thanks for commenting Justin. Dogs are a bit more work than cats are, since you need to provide exercise and take them outside to go to the bathroom, but I feel the reward is well worth it. Cats can be great companions as well, but they also shed quite a bit. Brushing your cat could also reduce the amount of shedding that you will find around your home.